The miraculous catch in John 21 was that opportunity. Peter leaped from the boat and ran/swam to Jesus as fast as he could! Jesus was waiting for him. Then, the very customized process for Peter’s restoration could not have been more perfectly conceived by Jesus. Breakfast on the beach together…eye-to-eye conversation for the first time since that ugly night outside the high priest’s courtyard…three affirmations and exhortations from Jesus…one for each of Peter’s denials. No doubt, the Peter we see in Acts 4 would NOT have appeared but for this critical restoration in John 21. As I reflect on Peter’s restoration and marvel at the power we see in the “fully restored” Peter in Acts, I cannot help but wonder how many such opportunities the church has missed since then…opportunities to restore a fallen leader and to see him/her transformed into someone miraculously influential in the kingdom of God. How many times have we missed an opportunity to make breakfast for a fallen brother and to restore him gently but surely so that he becomes more spiritually powerful than we ever even imagined! When Jesus invited Peter to sit down and join him for breakfast, He did so knowing full well how far Peter had fallen and how possible it was that he would fall again. He did it knowing of Peter’s “checkered” past (arrogance, ignorance, physical assault and cowardice) as well as his future mistakes (racism and prejudice). He did it knowing that some of Peter’s own close friends would not have restored him had they known the full extent of his denial. He did it knowing that Peter fell despite crystal clear warnings from Jesus ahead of time. 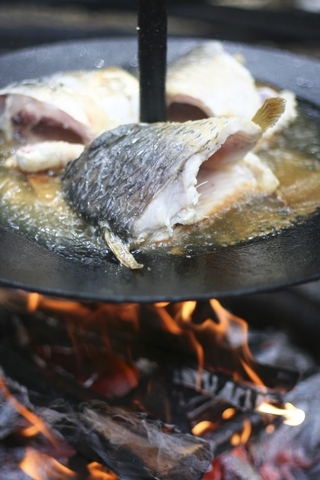 When Jesus began cooking that fish over an open fire in order to create the perfect environment for Peter’s restoration, He had only one clear vision in His mind about Peter…the vision of Peter standing before Roman and Jewish leadership and preaching boldly and powerfully in Jesus’ name. Jesus knew what Peter was capable of. My prayer for the church is that we would look and see what our own dear fallen brethren are capable of, that we would see the spirit of Christ in them and realize that is enough…that we would look beyond their mistakes to a spirit so powerful and so transforming that even the worst among us can be used to further the kingdom of God once we are fully restored. How many “Peters” have we thrown away rather than restoring? We can do this better, can’t we? The ears and the mind are necessarily connected. That is because hearing requires much more than just ears. 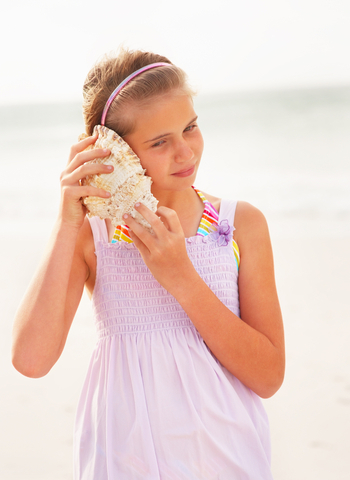 When we were children, we could hear the wind blowing through a sea shell but we thought we were “hearing the ocean”. We could hear just fine, but we could not discern very well. Now, as I get older (alas), I am finding that my ears don’t always hear very well. I can be sitting with you in a crowded restaurant, trying to hear what you are saying and my “discernment” has to kick in so that I can make up for what my ears cannot hear. I suppose that balance shifts more and more with time. Interestingly, our Spiritual hearing works in a similar way. When we are young (spiritually), we don’t discern all that well. We may hear God’s voice, but we hear it along with all the noise and may not have the spiritual maturity to discern that which is God and that which is other. I believe we develop that discernment over time, with the help of the Spirit. I also believe this spiritual skill is critical to our life together in the church. Wasn’t that the point of Jesus’ lesson to Thomas in John 20? Thomas’ brothers came to him, filled anew with the Spirit and sharing testimony of Christ’s appearance, i.e., the transformation which had happened in their lives as a result of the resurrection. Thomas heard their testimony, but he missed the Spirit in it. He could not (or would not) hear it. He wanted to hear it directly from Jesus. Not surprisingly, Jesus showed him grace despite his disappointment in Thomas. Here is an important implication of his words to Thomas in v.29: Thomas, you’re going to need to develop spiritual eyes to see the Spirit at work in your brother and spiritual ears to hear God’s voice in him in order to be effective in helping to start this revolution…that is how it will work in my church! In the church, discerning the voice of God is a sign of spiritual maturity. When we are spiritual babies, we may hear the wind in the sea shell and believe it is the ocean. But as we grow older, we really must develop the “spiritual mind” to know the difference. In order to be effective as leaders among God’s people, we must be getting better and better at discerning the voice of God in His people. Despite their many flaws and despite the “noise” of their flesh, we must learn to listen and to discern and to recognize the Shepherd’s voice when we hear it…even through the thorniest of relationships with our most difficult brothers/sisters. Our effectiveness as a leader depends upon this skill. Will you listen closely today? What unexpected message will God bring you through a brother today? My studies are in John’s gospel right now, and none of the gospels demonstrates the practical effects of the resurrection more beautifully than John’s. He portrays so very well the fragile, confused disciples hiding in the upper room out of fear of the Jewish leaders…the very human Peter, cowardly denying Christ…mere shadows of the men who would eventually have the responsibility of continuing the revolution Christ began. Take a moment and compare the Peter in John 19 with the Peter in Acts 4. The transformation is God-sized. That, it seems to me, is the power of the resurrection. Without it, we still have atonement for sins, we still have Christ’s teachings and his ministry, and but for all of the unfulfilled prophecies we would have, we still have scripture. But without the transforming power of the resurrection, we would not have a church today. Without the evidence that Christ lives, even today, we would not have a testimony of a living Savior. Without the resurrection, Peter, James and John most likely all return to their obscure lives as fishermen, all of them surely impacted but none of them truly transformed. However, with the resurrection, these virtually unremarkable, uneducated disciples became the passionate, Spirit-filled leaders of the most powerful revolution the world has ever seen, and their impact continues to grow stronger every day, even 2,000 years later. 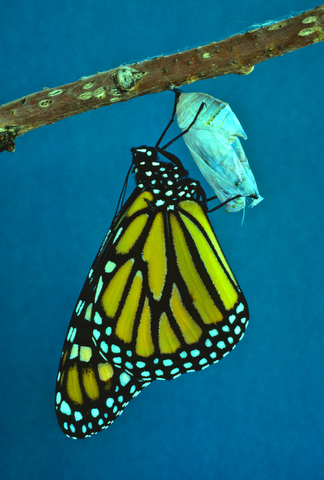 The metamorphosis we read about in them is astounding. What is even more amazing is that the transforming power of the resurrection is still transforming people today. It is transforming you and me. In fact, for the people you know, the clearest evidence that Christ is alive and active in the world today is the transformation they see in YOUR LIFE. Your story and my story and the stories of millions of Christ followers around the world today are the clearest evidence of the resurrection. Paul said it this way in his letter to the Philippian church: “I want to know Christ–yes, to know the power of his resurrection…” Phil. 3:10. Today, as you walk through your day, will your life tell the story of that power? Will your story be one of advancing this revolution? Will your church’s story be part of it as well? …it is that Balaam argues with it. What jumps off the page at me as I read this account is the fact that Balaam never catches himself conversing with a donkey! 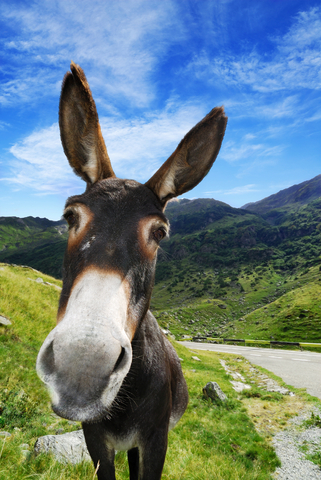 Where is the shock and surprise, having just heard a donkey speak?! Wouldn’t that be the natural reaction? Rather than falling on his knees out of recognition of what only God could do, Balaam immediately engages in verbal combat. With his donkey! There are moments in the life of every church leader when something profound–something bothersome, uncomfortable, or even directly opposing us, but nonetheless profound–comes from a completely unexpected source. There are those circumstances where we hear well-articulated opposition from a person through whom we have never heard any wisdom at all. These are important moments in a leader’s ministry. Be careful. There are few things more humiliating than missing God’s word when it is staring you straight in the face. I have often said that I would never want to serve with a pastor who will not hear God speak through his people. That would be a bit like Thomas saying to the other disciples when they told him they had seen the resurrected Christ, “Thanks, brothers, for your testimony of what you saw and what you heard, but if God has anything to say to me, he won’t say it through you…he will say it to me directly.” How embarrassing is that? And tragic. A pastor who sends that kind of message to the people he would lead, is done. He may keep holding the office for a while, but his leadership is finished. But this is not just a word for pastors. It is a word for all of us who carry any leadership role in the church at all. We simply must be willing to hear God’s voice through absolutely anyone; maybe especially through those with whom we disagree. That, I believe is a mark of Spirit-filled leadership. We must learn to recognize our Shepherd’s voice, even through the distractions and clamor of people who have historically been a thorn in our sides. After all, God can speak through anyone. So, the next time God speaks to you through a donkey, take a step back . Take a moment to consider what is happening. And try not to argue with the donkey. It looks ridiculous.